Among the tourist places in Kovalam, beaches are the foremost attraction. Kovalam beach is actually a long stretch of white sandy beach running alongside the Malabar Coast. The three separated parts of the beach are Hawah beach, Samudra beach and the Light House beach. 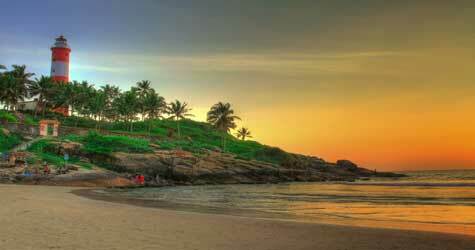 The largest among these three beaches is the Light House beach which is a must visit beach of Kovalam. Light house beach is named after the 30 meter high Light house here which is the most important feature of this beach. The Light House is located towards the southern end of the beach and it's on a cape. There is an observation platform from which you can see Poovar in one direction and the famous Beemapalli mosque on the other. You can reach this platform by climbing a total of 142 steps. The beach similar to other beaches in Kovalam has vast stretches of silver coloured sand and edgings of greenish palm trees. The rhythmic tones of waves along with the cold breeze from Arabian Sea are more than enough to enthral any visitor here. The beach is really a versatile one and beauty is not only the admirable virtue. Light house beach is also a perfect location for various adventure sports at Kovalam beach. Swimming, surfing, parasailing and paragliding are just a few to mention which can thrill any adventure seeker. The water here has a temperature which is perfect to keep swimming in the beach a highly enjoyable activity. The place will doubtlessly be a paradise for photographers as well. They can sweep away the view from light house in their camera and those stills would be a great treasure to preserve. This beach is also one of the preferred honeymoon destinations in Kerala. Honeymooners can have a leisure walk through the beautiful beach and adventure lover couples can together indulge in the adventure sports here. When you are planning to visit Light house beach, you need not have to be concerned about food and accommodation facilities. 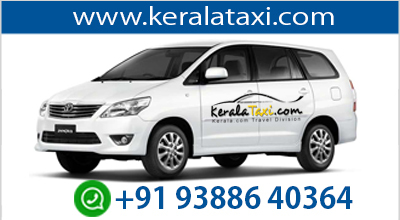 There are lots of hotels in Kovalam and you will surely find a suitable Kovalam beach hotel or resort aptly meeting your demands and budget. Accommodation will be of high class and the main cuisines here are seafood. Resorts here at Kovalam are not merely a place offering you cushions to sleep and cuisines to chomp but they are much more. The staffs in the hotels and resorts here keep you comfortable and you will feel as if you are in your own home. There are numerous indoor sports and recreational activities here which will be a nice experience for you. Also the ayurvedic massages available here in Kovalam are worth mentioning and a huge population of tourists reach here solely for ayurvedic therapies. Accessibility to the place had been a real boon as far as the boom of Kovalam tourism is concerned. The Light House Beach lies very much close to Trivandrum and thus reaching here is a hassle-free task. The beach can be reached easily from airport, railway station and central bus station.